Levantine Cultural Center presents an extensive roster of artists and performers in “Artists for Iran,” a celebration of the arts and human rights in conjunction with United4Iran.org, which is coordinating related programs in 27 cities worldwide. Combining cultural diplomacy and human rights, “Artists for Iran” comes on the heels of International Human Rights Day. Artists from Iran and elsewhere in the Middle East along with Americans of diverse backgrounds will merge in a space devoted to art, photography, poetry, live performance, comedy and more. Artists will perform at various times throughout the evening (but primarily between 8:30-10:30 pm). The evening will be devoted to literary, visual, and performing arts highlighting the issues of human rights in Iran and elsewhere in the world. Levantine Cultural Center uses cultural diplomacy–the art of creating safe spaces for dialogue and contemplation of artistic expression–to bridge cultures in conflict. This evening is devoted to the arts while celebrating a culture of human rights, something that all Americans take for granted. Art is a universal expression that connects humanity across time and space and it has been the voice of justice, peace and rights throughout time. 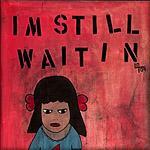 Currently many brave artists in Iran are speaking up to demand basic rights and we need to support them. Read messages of support for Iran by a wide range of international artists, see videos, learn more about the various global events, see the United4Iran web site. Sophia Gasparian (b. 1972, Armenia) is a Los Angeles-based artist. Her work began in experimental film and later transitioned to installation combining video, sound and painting. In 2002, Sophia developed “The Day of the Dead: Armenian Genocide 1915″ installation and co-curated an international group exhibition “Requiem for the Genocide” with Yerevan MOCA. Sophia’s work is archived at the Center for the Study of Political Graphics. Sophia’s narrative paintings intertwine childlike innocence with sociopolitical criticism and her aesthetic approach remains apart from mainstream art, incorporating stencils, stickers, spray paint and other nontraditional media. Sophia lives and works in her studio in Los Angeles. 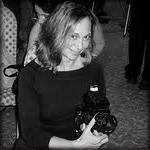 Shelley Gazin is an award-winning artist and photojournalist, educator and historian of contemporary culture. Her commissioned portraiture and documentary-style imagery illuminates the 20th and 21st Century social, political, entrepreneurial and spiritual landscape. The GAZIN ARCHIVE pays tribute to forward-thinking artists, scientists, civic leaders, business professionals, friends, neighbors and strangers from every walk of life. Born and raised in Geneva, Switzerland in 1985, Maryam Gueramian lived in Tehran, Iran for a while before moving to the United States at the age of 14. Since the age of 3, Maryam developed a passion for art, and has been continuing to cultivate her talent. After obtaining her Bachelor’s degree in International Studies and Economics from the University of California, San Diego, Maryam decided to expand her hobby of painting, and spend more time focusing on her passion. After graduation, she moved to Tehran and was inspired by the Iranian and Eastern culture and beliefs, and inspired to create the paintings you see today. To better cope with cultural and political difficulties existing in Iran, she delved into a period of artistic exertion. She is now working on her MBA degree at Cal State Northridge. Maryam hopes that one day, cultural and religious beliefs will bring people closer to each other rather than separating them. Born in Shiraz, Iran, Elham Jazab‘s family moved to Tunisia and later Zaire, Africa. Her comedy explores issues that are current and controversial, including the unusual nature of transplanted Persian culture (Los Angeles is home to the largest Iranian community outside of Tehran). With rave reviews on the street, Elham has been called “outrageous,” “hilarious” and “the world’s funniest female Persian comic.” With a degree in theatre and film from Northwestern University, and a Masters from Columbia College, she is well equipped to see the funny side of most any situation. She has been a regular in the Sultans of Satire and has performed in such comedy venues as The Comedy Store, the Improv and the Laugh Factory, dispensing her sly blend of cross-cultural humor. 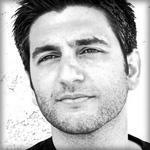 Amir Kamyab is one of the fastest rising young comedians in Los Angeles. Born in Tehran, Iran and raised in Southern California, his comedy is a hilarious blend of character work, storytelling and improvisation shaped by a multi-cultural upbringing. Amir’s raw talent is showcased on a nightly basis at various venues including comedy clubs and playhouses in and around the Los Angeles area. Mozhan Marnó is an Iranian American film and television actress who recently starred as Soraya in The Stoning of Soraya M. She won rave reviews for her performances as nine Iraqi women characters in the Heather Raffo play 9 Parts of Desire at the Berkeley Repertory Theatre and at the Geffen Playhouse in Los Angeles. She has also had roles in such feature films as Charlie Wilson’s War and Traitor. She attended boarding school at Phillips Academy, Andover in Massachusetts. Soon after, she earned a BA in Comparative Literature from Columbia University and an MFA in Acting at the prestigious Yale School of Drama. 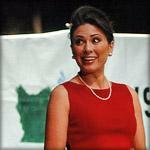 Additionally, Marnò received training at the Guthrie Theater in Minnesota and at the Public Theater’s Shakespeare Lab in New York. Marnò has lived in France, Germany, Sweden and Argentina, and speaks French, German, Farsi, and Spanish. She resides in Los Angeles. 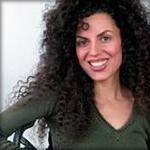 Maryam Mottahedeh is an Iranian American poet who is passionate about inner and outer freedom. Her path began with escaping the tensions of the Iran-Iraq war (in the ’80s) and her family life and migrating to Israel. In 1990 she moved to the States to encounter acceptance, abundance, healing and transformation. 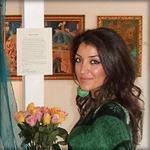 Her poetry narrates her colorful emotions and creativity on migration, women and love. Stephanie Satie is an actor/playwright who has appeared on and off, Broadway, in regional theatres and in L.A., and on TV. Her two critically-acclaimed solo plays—Refugees, published by Samuel French, and Coming to America – transformations—were developed with grants from the LA Department of Cultural Affairs, California Council for the Arts and the California Council for the Humanities. Much of her work evolves out of interviews, and world events, especially with women who’ve transformed their lives in America. 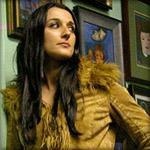 In addition to touring two solo shows, she teaches Literature and Writing at California State University, Northridge. Her non solo play, Leon’s Dictionary will be performed by Celebrity Play Readings at the West Side and West Hills JCCs in March. For Bookings contact Jeannine Frank: jeannine-at-frankentertainment.com. Sheila Vossough is an Iranian-American actress, comedian and producer who immigrated to the US with her family as a child at the onslaught of the 1979 revolution. She began a career of acting on stage for the Iranian community in 1998, graduated from the Ruskin School of Acting in 2003, a three year Meisner technique program in Santa Monica. More recently she studied with Lesly Kahn and at the Ivana Chubbuck Studio. Since 2004 to the present, she has been touring internationally, performing plays in Persian, with the Los Angeles based theatrical company, Workshop 79, spearheaded by famed Iranian playwright and director, Houshang Touzie. Her theater credits include: Farar-e Bozorg, Az Mahvareh ba Eshgh, and Matique, all of which toured internationally and were performed in Persian. She appeared as the emcee, along side Maryam Sayyad, and headlined as the stand-up comedian for the Festival of Peace, produced by Beyond Persia, at the Palace of Fine Arts in San Francisco in 2007. 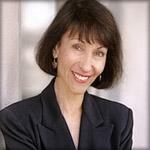 Her film credits include: Susan Miller, Liberation, Love Francesca, and Starwatch. Sholeh Wolpé is a poet, visual artist and playwright. She is the author of Sin—Selected Poems of Forugh Farrokhzad (University of Arkansas Press), The Scar Saloon (Red Hen Press), Rooftops of Tehran (Red Hen Press, Jan. 2008), Shame (a play in three acts) and has a Poetry CD featuring poems read by the author to traditional Persian music (Refuge Studios). She is the associate editor of Words Without Border (Norton, 2010), the editor of The Atlanta Review– Iran Issue (2010), and her poems, translations, essays and reviews have appeared in scores of literary journals, periodicals and anthologies worldwide, and have been translated into several languages. Sholeh was born in Iran and has lived in the Caribbean, Europe and the U.S. , She holds Masters degrees in Radio-TV-Film (Northwestern University ) and Public Health (Johns Hopkins University ). She lives in Los Angeles. Sunny Zia is the founder and chair of Humanity Unites, an Irvine-based humanitarian organization focused on building bridges of understanding and advocating community action and projects in support of causing peace and unity locally and globally. 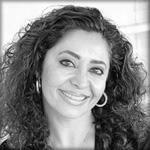 Ms. Zia is also the CEO of a Civil Engineering consulting and management firm based in Orange County. As an Iranian American raised both in the U.S. and Iran, and having lived through the Iran-Iraq war, the aftermath of the American hostage crisis, and the tragedies of “18 of Tir (Kooyeh Daneshgah)” in the 1999 University of Tehran uprisings, she believes that it is her duty to not only raise awareness about oppression but to transform it and work towards solutions. Her past efforts include working with inner city at-risk youth, with legislators in implementing policies advocating human rights, and on international relief efforts for Iran, Iraq, Pakistan, Israel, Palestine, Afghanistan, and Darfur. She is the recipient of local and congressional distinctions for her work in the U.S. & abroad. Free to the public, donations requested. Doors open at 7 pm. Open Bar. one block east of Crescent Heights Blvd.